Berles-au-Bois is about 15 kilometres south-west of Arras and 3 kilometres south of the main road from Arras to Doullens (N25). 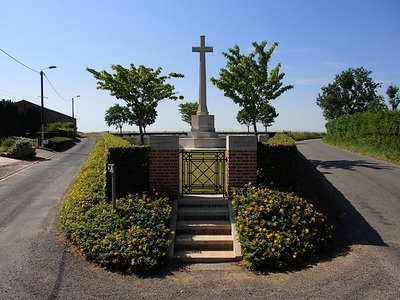 The Cemetery lies at the north-west end of the village on the road leading to Bailleulmont. The village of Berles-au-Bois remained in British hands from the summer of 1915, when it was taken over from French troops, until the end of the War; but it suffered at times from severe shelling. The village was later "adopted" by the County Borough of Wolverhampton. Berles New Military Cemetery was begun by fighting units in January 1917, when the Churchyard Extension was closed; it was used until April 1918. 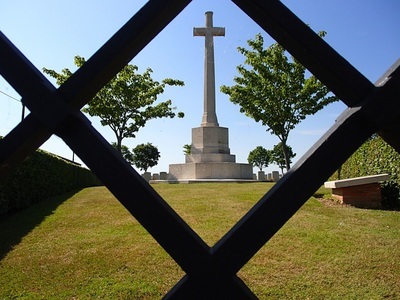 The Cemetery covers an area of 972 square metres. 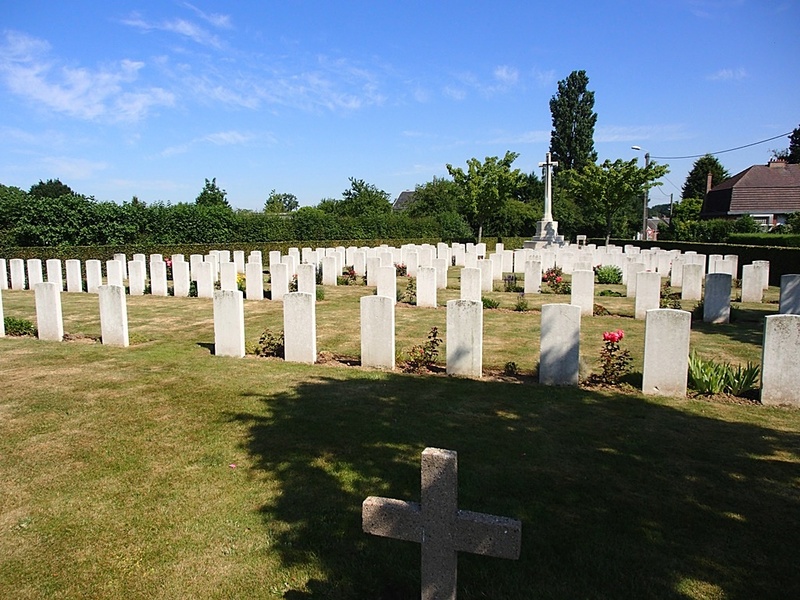 Commanding 14th Brigade, Royal Marine Artillery, killed in action 4th June 1918, aged 45. Plot III. D. 1. Son of the late James Foot Lumsden (Indian Civil Service); husband of M. E. A. Lumsden, of Hampton Court Palace, Middlesex. Citation: An extract from "The London Gazette," No. 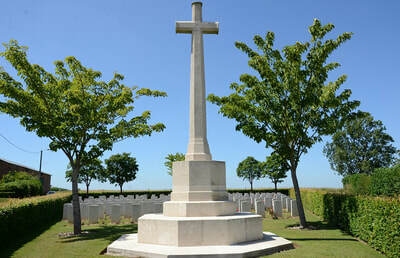 30122, dated 8th June, 1917, records the following:-"For most conspicuous bravery, determination and devotion to duty. Six enemy field guns having been captured, it was necessary to leave them in dug-in positions, 300 yards in advance of the position held by our troops. The enemy kept the captured guns under heavy fire. Maj. Lumsden undertook the duty of bringing the guns into our lines. In order to effect this, he personally led four artillery teams and a party of infantry through the hostile barrage. As one of these teams sustained casualties, he left the remaining teams in a covered position, and, through very heavy rifle, machine gun and shrapnel fire, led the infantry to the guns. By force of example and inspiring energy he succeeded in sending back two teams with guns, going through the barrage with the teams of the third gun. 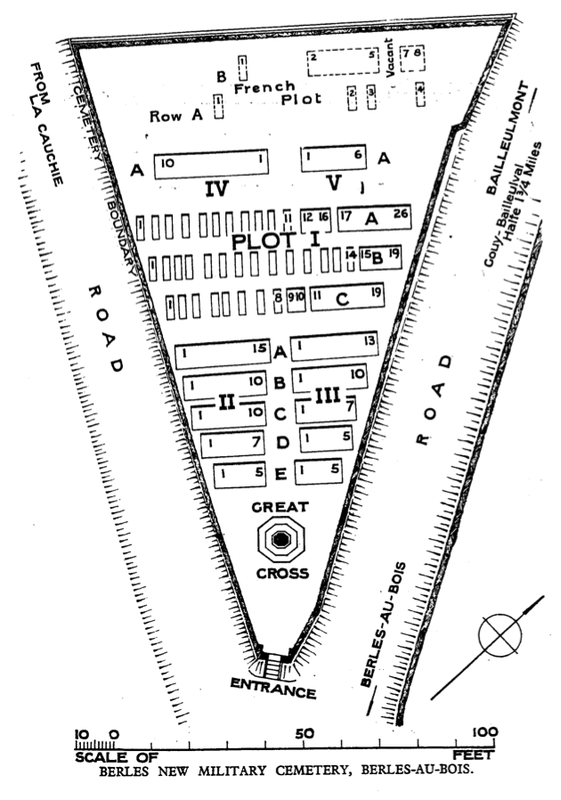 He then returned to the guns to await further teams, and these he succeeded in attaching to two of the three remaining guns, despite rifle fire, which had become intense at short range, and removed the guns to safety. 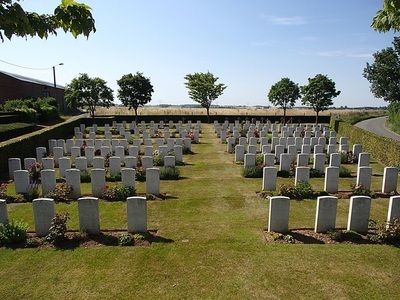 By this time the enemy, in considerable strength, had driven through the infantry covering points, and blown up the breach of the remaining gun. 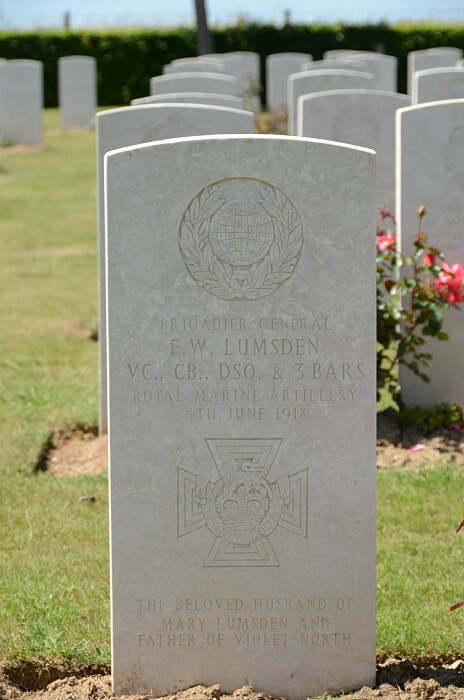 Maj. Lumsden then returned, drove off the enemy, attached the gun to a team and got it away." 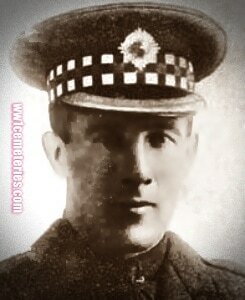 Evan Murray MacGregor Balfour, M. C.
24th August 1918, aged 32. Son of George Dalziel Balfour and Jessie Milne Balfour, of 18, East Preston St., Edinburgh. Also served in German South West and British East African Campaigns. 12th July 1918, aged 23. Son of John Grant Gibb and Ann Gibb, of Station House, Inverkeilor, Montrose. 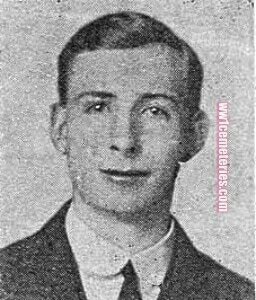 28th July 1918, aged 23. Son of George and Ellen Lucy May, of Boorley Green, Botley, Hants.